Nature’s Work offers standard and bespoke walking and wildlife tours and holidays. 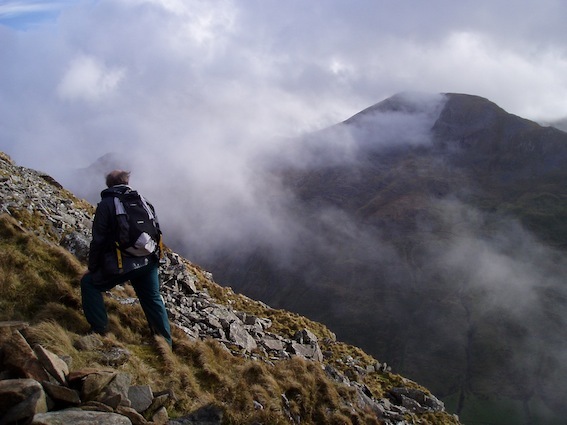 Snowdonia and North Wales are rich in the variety of walks available and we are happy to share our local knowledge and experiences with you. Our trained guides are also knowledgeable and can share information about the wildlife of the area. You will be walking amongst the UKs wildest and most untouched areas and may come across rare arctic alpine plants such as the Snowdon Lily (Lloydia serotina). Below are areas we frequently visit with walking and wildlife groups. 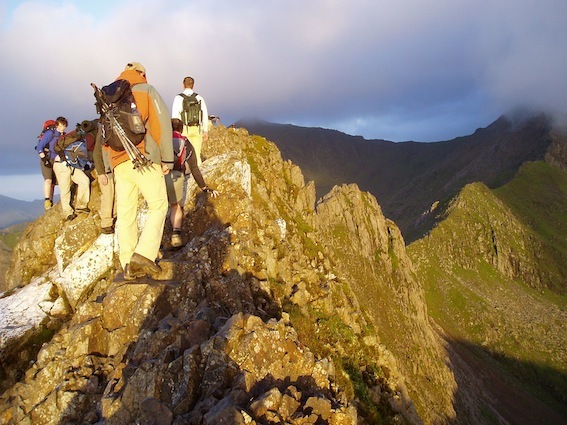 A round trip to the summit of Snowdon takes around 6hrs. 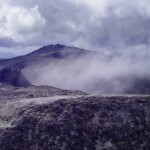 You don’t need to be super fit as we go at a suitable pace and stop along the way to take time to interpret the surrounding mountain scenery and geology. 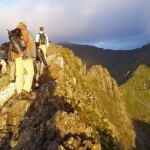 There is also a special Snowdon horseshoe walk taking in the main ridge walks of the Snowdon massif. 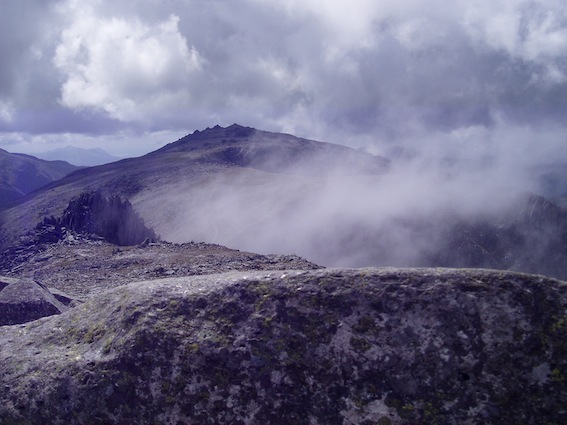 The Glyder range includes Tryfan, Glyder Fawr, Glyder Fach, Y Garn and Elidir Fawr. These 3000 feet mountains form a strenuous day out whichever route is decided upon. With distinctive peaks and boulder strewn summits the Glyder range is a great mountain challenge with elements of easy scrambling. 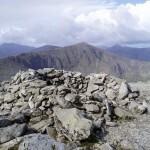 The Carneddau plateau is the highest and largest region south of Scotland. 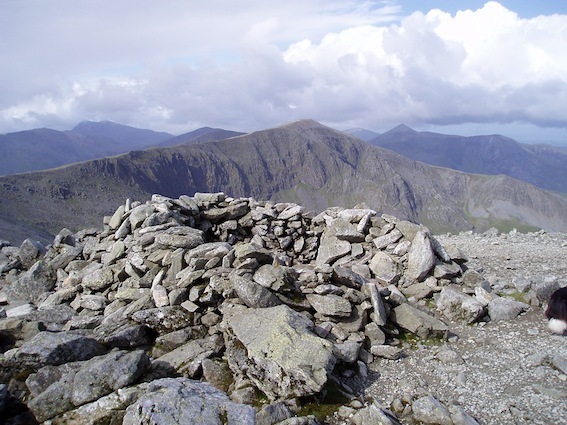 The more isolated peaks offer outstanding views across northern Wales and take in the summits of Pen Yr Ole Wen, Carnedd Llywellen and Carnedd Dafydd. 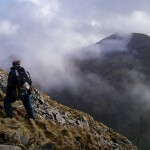 A stunning circular walk to the summit of Moel Siabod takes in a fine scramble above llyn y foel high above the village of Capel Curig or venture further along the Moelwyn range to the sporty summit of Cnicht in the west.